Boulder Colorado is an outdoor recreation and fitness mecca that is home to over three hundred sunny days per year on average. Simply living in Boulder makes getting up off the couch that much easier than most American City’s. According to the recent results of the annual Gallup-Healthways Well-Being index, Boulder again has the lowest rate of adult obesity in the nation. The city has achieved this honor every year since 2008, with the exception of 2009. Only 12.4 percent of Boulder’s adult residents are considered obese. It is the only one of 189 metropolitan statistical areas surveyed in 2013 with an obesity rate below 15 percent. Nationwide, the obesity rate among adults is at 27.1 percent — the highest that Gallup-Healthways has recorded since it began its yearly surveys in 2008. In order to determine the results of its survey, Gallup interviewed at least 300 people in each of the 189 metropolitan statistical areas. The used the self-reported height and weight of those individuals to calculate Body Mass Index scores, with BMI scores of over 30 being considered obese. Boulder Colorado was one of three front range metro areas to make the list of the least obese, joined by Fort Collins-Loveland at third, with a rate of 18.2 percent, and Denver-Aurora, tied for sixth, with a rate of 19.3 percent. Among the largest metro communities, with more than one million residents, Denver-Aurora was tied for least obese with San Diego-Carlsbad-San Marcos, CA. Colorado has ranked among the top ten states for frequent exercise every year since Gallup has been tracking, this year coming in fifth place with 59.8 percent of residents surveyed reporting 3 or more days of exercise a week. 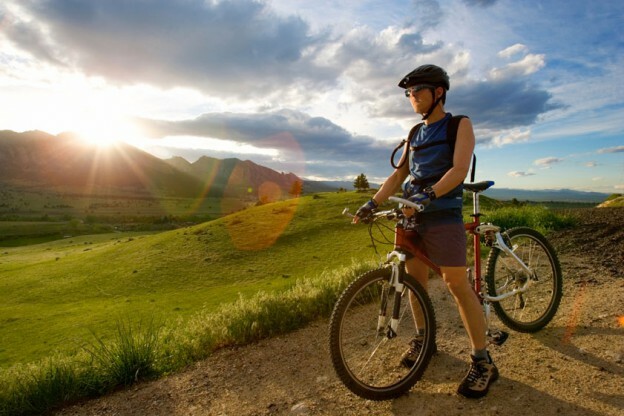 Boulder and other communities in Colorado are a draw to those who enjoy the outdoors. We’re proud to call this fit place our home. If you’d like to make it your home too, Housing Helpers is glad to assist you in finding a great neighborhood. For more information, contact us today. This entry was posted in Boulder and tagged Living in Boulder Colorado on April 11, 2014 by Stephanie Iannone.